In today's world, It becomes necessary for us to monitor our own computer or a remote computer to keep track of the activities going on. This may be for several reasons. Especially it is most necessary for the parents to monitor their computer to keep track of their children’s activities during their absence. Some people may also require to monitor their computer to keep an eye on the activities of their spouse or partner. Today, with the advancement in the field of software technology, it is possible to easily monitor any given computer. For this all you have to do is, use a PC Monitoring Software. But the job doesn’t end here. This is because, there exists tons of such monitoring softwares on the market and many times people often get confused which one to choose and how to use them. So I have decided to make this job simpler for you, by writing this post. In this post I’ll give a detailed information about computer monitoring softwares which include their features, advantages, usage and so on. What exactly is a Monitoring Software and how can it help me ? A computer monitoring software is just like any other software (program) which when installed, secretly monitors each and every activity that takes place on the computer. The activities such as web browsing, chatting, gaming etc. are all recorded and saved. These monitoring softwares can record each and every keystroke. So it is possible to capture usernames and passwords very easily with minimum effort. Monitoring softwares are also commonly known as Keyloggers. How can i install a spyware keylogger software? Installing a spyware keylogger software is very simple,even a person with basic knowledge of computer can use and monitor each and every activity that takes place on the computer.You need to setup a secret password and hotkey combination which is required later to see the recorded data ( logs). After the installation is complete the software goes invisible,once the software gets installed it will sent you recorded data(logs) and screen shots of the activities that takes place on your computer. Which spyware keylogger software to choose? SpyAgent is our award winning, powerful computer spy software that allows you to monitor EVERYTHING users do on your computer - in total stealth. SpyAgent provides a large array of essential computer monitoring features, as well as website, application, and chat client blocking, lockdown scheduling, and remote delivery of logs via email or FTP. SpyAgent will put your mind at ease with its innovative and unmatched, yet easy to use feature-set that provides the ultimate all-in-one computer monitoring software package. Spy on a Remote PC and expose the truth behind the lies! 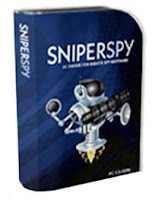 Unlike the rest, SniperSpy allows you to remotely spy any PC like a television! Watch what happens on the screen LIVE! The only remote PC spy software with a SECURE control panel! Winspy keylogger is a Complete Stealth Monitoring Package that can spy on both your Local PC and Remote PC. It includes Remote Install and Real time Remote PC Viewer. 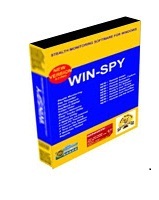 Win Spy Software will capture anything the user sees or types on the keyboard. A special hotkey is used to login and access the program. Users will not be able to terminate or uninstall Win-Spy. Win-Spy Software operates in stealth mode. It will not appear in Windows Start, System Tray, Desktop, Task Manager or Add/Remove Programs. The following program can be used to monitor an Entire Network of computers from one central location. This becomes handy to monitor the staff in a company or students in a school/college. This software becomes handy if you want to monitor an entire network including your offices,school etc. You can test this product by downloding its trial version. Are you worried how others might use your Mac OS X computer? Expose the truth behind the lies! 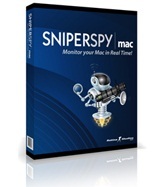 SniperSpy is the only software that allows you to secretly watch your Macintosh like a television! Login from ANYWHERE using another computer, smart phone or iPad.After you install this program to the Mac you wish to monitor, it begins silently recording everything they do online. The program then uploads user activities and sends the data to your online account. You login to your account using your own password securely to view logs and view their screen LIVE and see everything they do online in real time! As far as i know, SnipperSpy can monitor all the computers within your organization without limitations. That is really great. Any freeware or any cracked link for these tools??? ?